I was so happy to hear from Dreamlights about reviewing their wax melts. I had seen a lot of people recommending them on Instagram and I thought their packaging was so bright and fun. They don’t have a website yet so you have to buy through their Facebook page. A website is coming though. Their wax melts are made from soy wax. They have a load of different scents which we have talked about HERE. Blueberry Cheesecake – This was dangerously amazing. I’ve been on a real blueberry addiction recently and this was a great mix of fruit and cake! 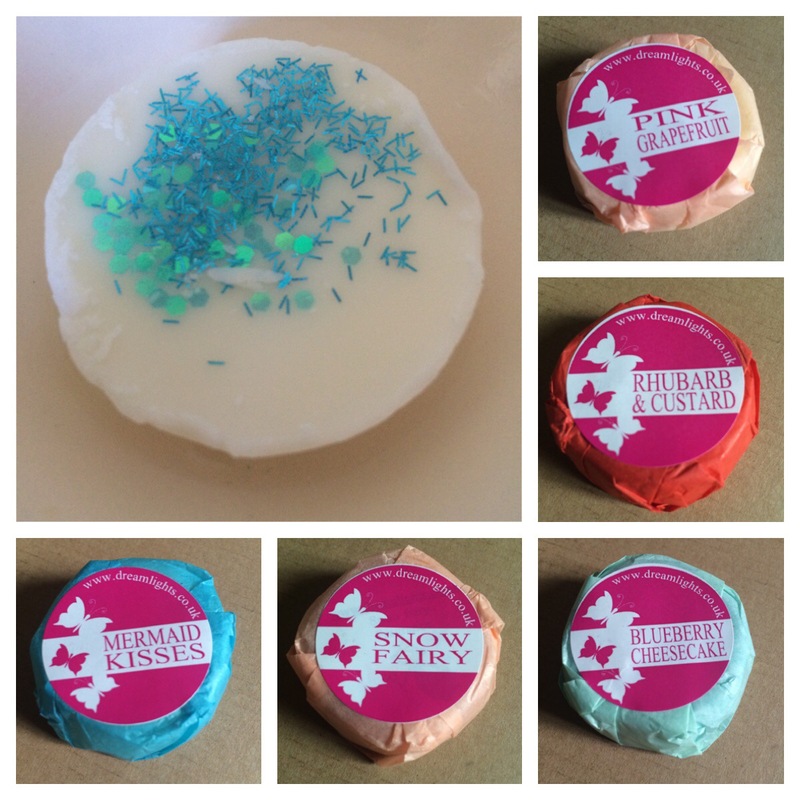 Snow Fairy – I’m a BIG fan of this Lush scent but this wasn’t quite fitting the same scent. For me it was too musky. Rhubarb & Custard – Everybody remembers the sweets right? Of course you do. On a cold smell these really did smell like the sweets. I got more of a floral scent when they were melting though. Pink Grapefruit – Loved this one. Not everyone loves the taste of pink grapefruit but I’ve always loved it. This really captured everything about this gorgeous fruit. It’s very uplifting with sour tones to really create some zing in the home. Mermaid Kisses – Floral scents can make me screw my nose up but there’s a real beach scent to this. If you want a beach scent without the coconut, then this one is perfect for you. It’s also a great unisex scent too. I loved reviewing these wax melts and I loved the added touch of glitter that they use on their melts. Their wax melts are £1 and I got about 12 hours on each melt.